This small house on Henley Street, Stratford-upon-Avon, has been welcoming visitors for over 250 years. As Shakespeare was growing up, he lived in this house with his parents, and he later returned to live in it briefly, after his marriage to Anne Hathaway, at the age of 18. For Shakespeare enthusiasts, the house is a shrine, perfectly preserved to show exactly how it looked in his time. 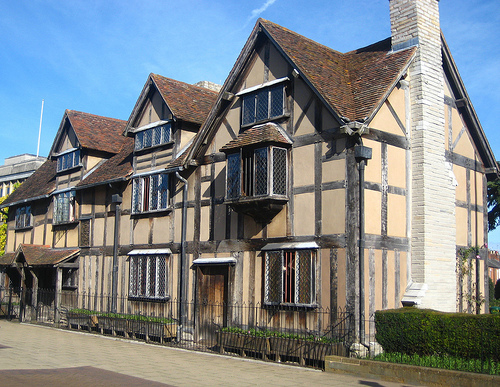 The Shakespeare Birthplace Trust also offers visits to Anne Hathaway’s childhood home, the home of Mary Arden (Shakespeare’s mother) and Hall’s Croft (the home of Shakespeare’s daughter, Susannah). Shakespeare spent his later years in Stratford-upon-Avon, in a house called New Place, which he had purchased in 1597. This is the house in which Shakespeare died at the age of 49, and which was then passed to his daughter, Susannah. Sadly, nothing of the house remains following its demolition in 1759. Now owned by the Birthplace Trust, the foundations of the house are set in a beautiful garden, which is planted with many of the flowers that feature in Shakespeare’s works. The garden is accessible through Nash’s House next door, where Susannah lived with her husband. Both sites are well worth a visit, particularly in the summer when the fantastic plants of the garden will be out in full colour. 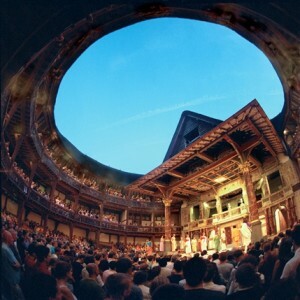 London English courses often include trips to this famous place where Shakespeare’s plays were often performed. The original theatre was destroyed by fire in the 17th century, but the modern reconstruction of the site that is visible today opened in 1997. Next to the Globe Theatre sits a reconstruction of the Blackfriars Theatre, another place where Shakespeare’s plays were performed during his lifetime. A building project is currently under way to transform this reconstruction into a full indoor working theatre. Other notable places in London include The George Inn, Southwark, where it is believed Shakespeare performed as an actor, and the Mermaid’s Tavern, Cheapside, where Shakespeare met with other writers, poets and actors every Friday. Any Shakespeare enthusiast will know that no trail is complete without seeing one of his amazing plays in production. The Royal Shakespeare Company is one of the world’s best-known theatre companies, performing regularly in Stratford-upon-Avon and London as well as touring across the UK. Their performances in Stratford-upon-Avon normally take place at the recently reopened Royal Shakespeare and Swan theatres – well worth a visit for any Shakespeare fans. As well as the tours and theatre productions, the World Shakespeare Festival has plenty of events for fans all over the UK. The celebration of Shakespeare’s life involves a collaboration of artists, poets, writers, actors and theatre productions, and it runs from April to November 2012. For fans the world over, this exciting event is too good to miss!